Raise your hand if this sounds familiar. You tell yourself that THIS is the year you’ll finally blow those income goals out of the park and scale your biz to the big time. There’s just one problem — How will you actually make it happen? Brilliant ideas start popping into your head. I’ll build this funnel. I’ll create and sell this course. I’ll make a webinar. Better buy sunscreen, because I’ll be rich and working from a beach chair in Bali by Thursday! All you have to show for the last two months is a Google drive full of half-finished projects and a to-do list with one thing (ok, maybe two) checked off. Oh my! Can you even return a bottle of sunscreen??! It’s unopened, I swear! Sassy Marketing Mentor Christina Jandali (and my amazing coach that got me to 6 figures in 100 days!) is sharing a free 14-day masterclass series on producing passive profits, attracting new clients, managing your mindset and boosting your sales. And I’ve got a FREE front row seat with your name on it, . Get the complete Scaling for Passive Profits series free right here. She’s brought together 40+ top influencers who are dishing the dirt on how to scale without pulling your hair out. Which is great, because a good wig is expensive! This content is so valuable — especially if you’ve tried to get out of the trading dollars for hours trap and found yourself stuck. You can’t beat yourself up for not knowing what you don’t know. You can only decide to persevere and move forward, and Scaling for Passive Profits will help you do that. P.S. What I love the most about Scaling for Passive Profits is that you’re only getting tried and true strategies for easily cashing in on your expertise...no airy-fairy or impossible-to-implement ideas here. Just straight up clear and actionable steps you can take and run with for leveraging your time and boosting your profit. My friend and coach Christina Jandali has brought together 35+ top experts and influencers for this complimentary training series on producing passive profits, attracting new clients, managing your mindset, and boosting your sales. The freedom to take time off. The freedom to go for a run in the middle of the day and not have to sneak back in to the office. The freedom to have an afternoon nap and feel zero guilt. But it drives me bonkers when I see entrepreneurs selling the dream of passive profit without telling the truth about what it takes to earn it. Is it possible to scale your business, bring in profit passively, and free up your time to actually live your life? Absolutely, it is. I see it happen all the time for my clients, friends and mentors. Definitely not. And it’s downright impossible if you don’t have anyone to guide you through the steps. It breaks my heart when I hear entrepreneurs tell me they’re hustling their behinds off, working 24/7, and they feel like they have nothing to show for it. P.S. Let’s get real — if you seriously want to scale your business and bring in passive profit, there’s a few things you need to know! Yesterday I had several calls with amazing talented ladies. One theme kept coming through - profit. AND THE NEED TO MAKE SOME. Profit is the wheels that keeps a business going AND growing. As an entrepreneur and business owner, I get it - how hard it can be to consistently grow a business without getting stuck and having to use the profit to keep the wheels turning. Yet it doesn't have to be this way. As they say - you can have your profit cake and eat it too. And that is why I have joined 25 other totally awesome (can I say cowabunga too) entrepreneurs to give you 30 ways to make 2018 the most profitable year yet. Are you ready to make 2018 your most profitable year yet? Join the SUPER lovely and talented David Durham and I as we talk all about sales and the vehicle to making more profit. Not only will I be participating, he has other self-made millionaires, leading influencers, and thought leaders who are ready to give you their secrets too. It's called: The Rocket Entrepreneur: Blast Past Plateau and Make More Money Than Ever in 2018! These interviews are REAL, SHORT, and to-the-point CONVERSATIONS with entrepreneurs who have made made not only millions - but significant breakthroughs. It is 100% free all you need to do is register. NOTE: This is for business owners and entrepreneurs who want to breakthrough in their business and make 2018 more profitable than ever. Whether you feel stuck in your business and have hit a wall, or even feel like you’re doing the right things to take your business to the next level, yet the results just aren’t coming - then this is the perfect solution. SO let me ask you this: What would it be worth to you to be able to sit at the feet of 25+ business owners and entrepreneurs who are millionaires, have hundreds of thousands of followers, and typically charge tens of thousands of dollars to speak and learn HOW they make massive breakthroughs in their business, and HOW you can too? You can register using this link. >>> Click here! Isn't it all our dream to know just how those select few woman get to the top of the online world? What if you could learn first-hand from some of those top women entrepreneurs? Imagine if you could get top secrets to success and visibility from women who have built six figure and multi-million dollar businesses doing what they love. I've got some funky news for you…YOU CAN! Huge ah-ha's and ground breaking steps are revealed in the interviews of The Amazing Women of Influence Summit. Serena Carcasole, has put together a FREE online summit to inspire women globally. During this transformational summit, Serena will be interviewing leading women entrepreneurs who have gained incredible success, both in their businesses and in their personal lives. Getting that Rich and Relaxed right? If you're feeling discouraged or overwhelmed by the challenges of running your own personal business, this summit may be just what you need. Plug them in to your ears - be refreshed and recharged with their stories. While the event is primarily about entrepreneurship, Serena has speakers discussing how to be a successful woman in all areas of your life, including your relationships, health, and personal well-being. Be inspired for the last few months of the year! When was the last time you did something scary or uncomfortable? Something that pushed you to your limit? Often discomfort, by choice or not, is the one thing we avoid AT ALL COSTS. We are fine living within the walls we have built. The number one thing that I see people do repeatedly is stay on the flat trail. The path of least resistance, instead of climbing the steep incline to get to the mountain summit. Yes, the flat trail can be nice, easy and even pretty. But...the view from the top of the mountain is UNREAL, exhilarating and always worth the climb! Some of the same qualities that get you up a physical mountain are the same qualities that will get you up a mental mountain, and the same qualities that will help you to succeed in your business and life. We know that in order to achieve lasting change and real results we must push the boundaries of our comfort zone. So why don’t we do that? Why do we live our lives on the flat, easy trail? Join me as I share my own journey and how I learned to push past my comfort zone and face difficult things head on. I’m being interviewed by Tirzah Forrister for the Moving Mental Mountains Summit. She is an outdoor enthusiast and adventure coach who is passionate about getting driven entrepreneurs out of their comfort zones and into their vision. She has interviewed over 25 leaders, entrepreneurs, trainers and coaches with extraordinary stories and powerful visions. These people have climbed the steep trail and have seen the breathtaking view on the other side. I am thrilled to be one of the speakers because I really believe that change happens when you take that first step, don't quit and reach the summit no matter the obstacles. You will learn how to step out of fear and climb through mental barriers that stop you from living a bold and intentional life. The only difference between someone who has a wildly successful life and someone who doesn’t is their mindset. Their ability to take on hard things and finish strong. They are the ones who are continuously seeking adventure. Now it’s time for YOUR adventure. When you go to the link above and reserve your spot for this free speaker series, you'll get expert advice from real people who are on a real mission to help you take the first step, to learn to live with fear as a friend and a teacher and not an enemy. Chances are if you’ve put off your adventure, you’ve let fear win. Do you know the most important things you can do when it comes to pursuing your dreams? Learning from the stories of people that have gone before you. Don’t climb the mountain alone! Ask for help! Stepping out of your comfort zone and into the unknown, because the more you do it the less scary it becomes! So why should you sign up??? You will be joining others who are in the same place. You will get the support you need to move mountains in your business and your life. This is something that you are not going to want to miss, especially if you feel stuck in your fear. Maybe you are unsure what to do next, you’ve hit a wall and you are ready for a challenge and ready for wild growth. I believe in you. Be one of the few who takes the path that leads to an incredible life. Here's to new adventure and living an exhilarating life! P.S. Want wild growth in your life? Then you're ready to take on this next challenge. Learn how to train your mind and strengthen your ability to overcome the obstacles in your life. With a strong mind you can do anything and we will be teaching you how. Reserve your spot right now! Sick of trying to get people on to your mailing list? Do they trickle in from your ads? 2 a day? Or you encourage people to look at your website and hope they fill out your newsletter subscribe box? Maybe you want to launch a new product and can't afford the marketing spend to go with it to go really big. Or you want people to come to you, yet word of mouth isn't cutting it. Would you love to get a huge HIT of visibility? Make a big impact that is va-vooom 'this is who I am and what I have to offer world!'? Some way to get people coming to you, and in their 100's or even 1,000's? Yep, I have been there and felt that stuck too. Like I was rooted in one place feverishly trying to let people know about my new business. And the trickle on to my list wasn't cutting my over-achieving mindset. I went back to my crust - media. I have been a journalist and magazine editor for over 10 years now; full time and freelance, UK and NZ. And getting in the media give you the one-to-many model that grows your list by 100's over-night! This could be you too . You see grabbing media attention is a lot easier than you think. I should know - I have sat on the other side looking for people to write features for me. As a business owner this is a great use of your time too as someone else spreads your message to their community. Interested to know more? I have a fab new group opening up soon all about how to grow your visibility, list and ultimately your bank account by attracting new clients in to your business. - the magic behind the tools to turn leads in to paying clients. P.S. Want to know how you too can get in the media with your business? Jump on the waitlist here to be first to know. You'll get 14 other ways to grow your reach too so you can pick and choose what works best for you and your clients. The Life Coach Business Model. How to Live the Laptop Lifestyle and Earn Your Living From Home. 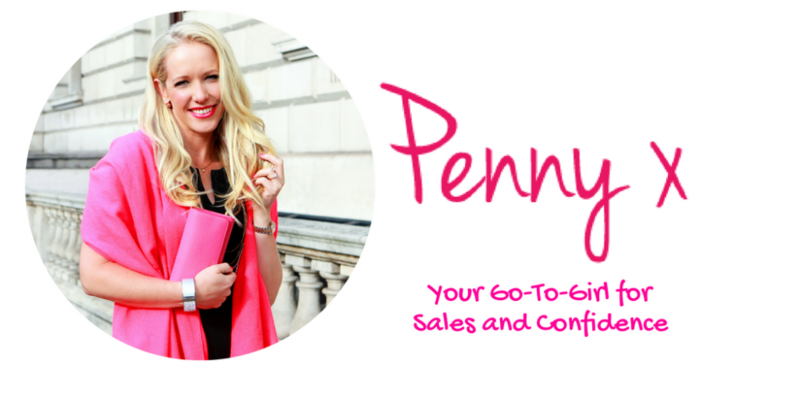 We're kicking off with Penny Elliott who is talking right into one of the most triggering and important topics for new female entrepreneurs...HOW TO GET GOOD AT SELLING! Straight out of New York City, Nicole is super pumped to spread the word of what it is really like your first year in business. She wants to be inspirational to woman entering in to the entrepreneurial world. - why sales doesn’t have to be sleazy. Yes, it can sound natural and feel easy. - the biggest inside tip for your first year in business. You won’t want to miss it!